Media, Film, Television, Photographic Shoots, Installations, Equipment Hire, and Animal Handling. 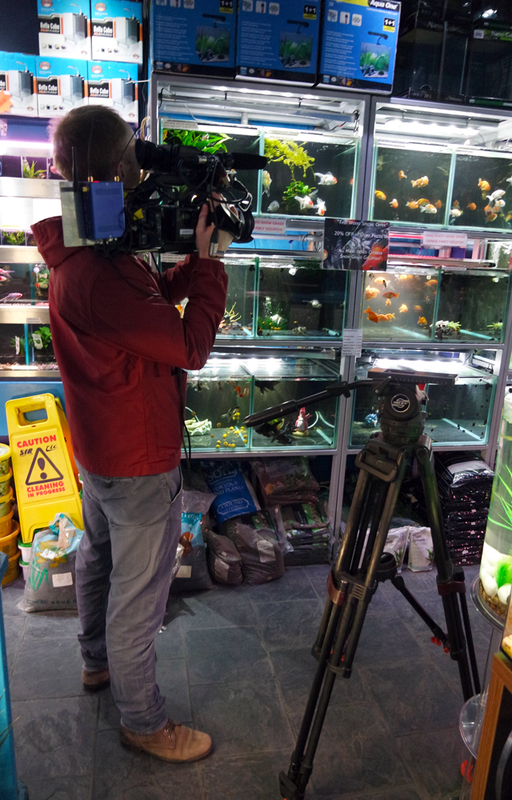 The Aquatic Design Centre has been involved with productions in commercials, feature films and photographic shoots. We have also featured in music videos, catalogues, and children’s educational programs. We offer a range of solutions including installations, equipment hire and animal handlers. So far we have assisted with the production of several international and local feature films, artists, art fairs and commercials including, Glengarry Glen Ross, Playhouse Theatre London, Damien Hirst, The Gagosian Gallery in New York, OMEGA House, Royal Shakespeare Theatre, Tate Britain, Blue Peter, The Thunder Birds Movie, Hitchhiker’s guide to the galaxy movie, Lemon U2 Video, Suede Video, The X-Men Movie, Penn and Teller, Sainsburys, Barclays, Sky One, Radio One, Jacob’s Cracker Ads, and plenty more at the BBC. We also offer our media services for photo shoots and product placement for magazines and publications. We have assisted with Matthew Donaldson and also the British GQ magazine.